The title taken from his infamous stage patter when he would reveal yet another innovation in a device we thought was already tapped out with cool, STEVE JOBS: ONE LAST THING documents the incredible life of innovator, entrepreneur and Apple founder Steven Paul Jobs (1955-2011), showing the good, the bad and the techno. Mainly from other people’s points of view, ONE LAST THING is a puff piece/eulogy, with a little Bad Guy thrown in. Jobs himself is featured only minimally in a couple of interviews. I tend to forgive master achievers their bad points though, so I really am at a loss as to whether documentarians Sarah Hunt and Mimi O’Connor are trying to be fair by showing Steve’s egomaniacal side, or simply painting a picture of an unapologetic tyrant. But show me a great man who isn’t a tyrant and I’ll show you a failure. Steve Jobs changed the very face of the communications world; as one talking head calculates, Jobs was probably even greater than Edison in his achievements, affecting four major strands of human advancement, whereas Edison only affected three. Outlining his rise to power, founding his computer company Apple with gentle soul Steve “Woz” Wozniak (who breaks down remembering the good times with Steve), following his out-of-the-box achievements with the company (in a world where “computers” were the size of refrigerators with those reel tapes and flashing lights, Jobs envisioned “personalizing” them to what we take for granted now), his eventual ousting from his own company by ex-Pepsi marketer John Sculley (brought onboard in good faith, betraying Jobs’s trust); his dabbling in the next big computer company NeXT (with Ross Perot putting in his 150 million’s worth), and eventually resuming his driver’s seat at Apple, which saw it become wildly successful again; lastly, there are his sad days of succumbing to cancer. There are interesting snippets of Jobs and Gates sharing the stage for interviews. Many forget that Bill Gates’s all-consuming Microsoft company was interwoven into Apple’s history; side by side these two ruthless marketing geniuses bucked and weaved around each other’s parries and keystrokes. They were partners for a long time; the earliest Apple computers had Microsoft parts. And when Jobs regained his seat on Apple, it was Gates who financially pulled him out of the bankruptcy maelstrom. And was booed for it by Jobs fanatics. One of the talking heads claims, “Steve ultimately betrayed everyone.” I believe that. But I don’t see the point in the statement. Operating at the highest level of finance – when you’re one of the richest men in the world before you’re 30 – you’re going to be forced to make unpopular decisions. It’s not a popularity contest, it’s a business. The pointless film JOBS (2013, starring Ashton Kutcher) focuses on some of these decisions, but loses focus when it comes to portraying Jobs consistently: at first he’s so much of an artist, he is ostracized from his own company for losing it so much money, then when they ask him back, he’s so much of a businessman he doesn’t want to return because the company’s losing money! 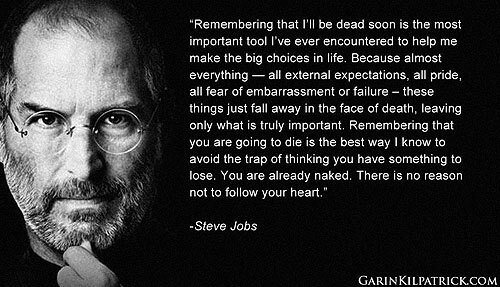 Jobs was worth 100 million when he was 23 years old. By mid-1982, he was one of the richest men in the world. 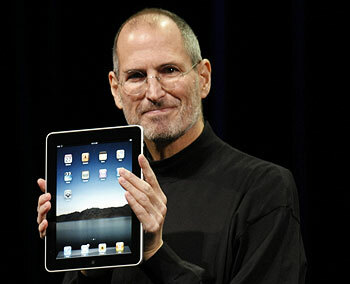 By the time he died in October 2011 at age 56, he was worth over 200 billion. Oh, and one last thing: When he was young, he looked like Ashton Kutcher. Directors: Sarah Hunt, Mimi O’Connor. Starring: Steve Jobs, Bill Fernandez, Demetri Goritsas, Dean Hovey, Robert Palladino, Ross Perot, Will.i.am, Steve Wozniak, Richard Branson, Eddie Izzard.